Pleasant hotel, we appreciated the friendliness of the staff especially Phong, Ngui and Tuan. Always ready to answer all our questions and satisfy us. The hotel is well located in District 1. Close to all amenities. 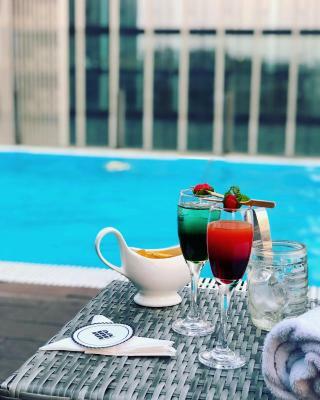 There is a rooftop pool, it is clean and the rooftop restaurant staff is also nice. Bedroom was spacious, modern and clean. 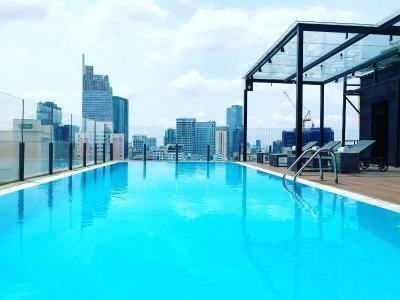 Rooftop pool is a great was to chill out in a big city. The location is quite well. The pool was fine and the room was good also - although they took us 3rd floor - a room without a window. Putting the price into account, I would recommend it. Excellent location, staff helpful. Room clean. Quiet given location. Lovely hotel in the perfect location to get around. All the staff are very friendly and welcoming. The rooms are a good size and very comfortable, from my room I could see the river and some of Vietnam so not a bad view! The facility was modern and clean. Great location. 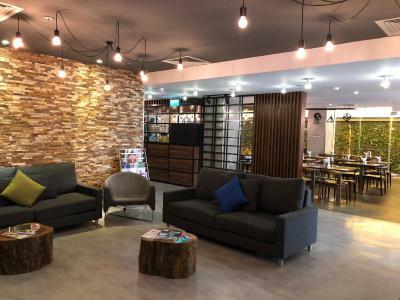 Bay Hotel Ho Chi Minh This rating is a reflection of how the property compares to the industry standard when it comes to price, facilities and services available. It's based on a self-evaluation by the property. Use this rating to help choose your stay! 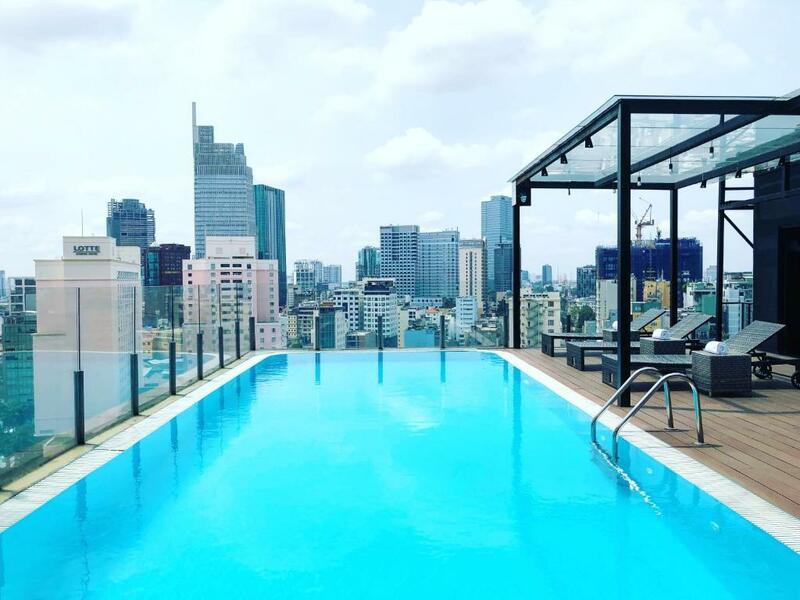 One of our top picks in Ho Chi Minh City.Bay Hotel Ho Chi Minh offers luxurious accommodations in Ho Chi Minh City, 1,950 feet from Opera House. 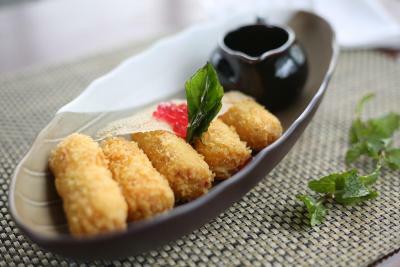 Free WiFi is available in public areas, and guests can enjoy meals at the restaurant. 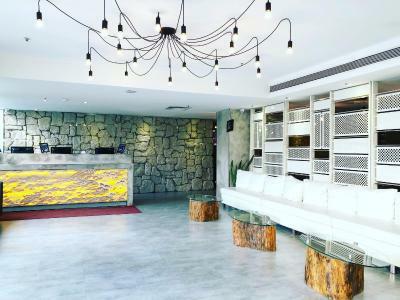 Featuring a complimentary mini-bar that is replenished daily, all rooms are air-conditioned, and are furnished with a flat-screen TV and a safety deposit box. 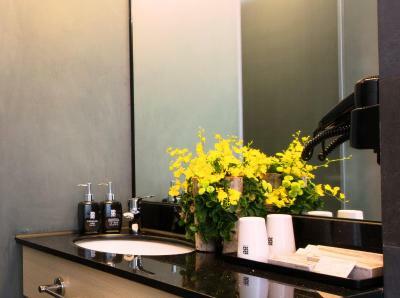 Select rooms feature views of the city, while each room features a private private bathroom with shower facilities, free toiletries and a hairdryer. 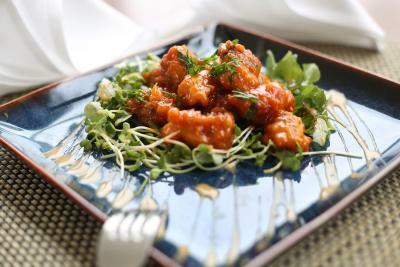 Guests can enjoy meals at the restaurant or request for room service. 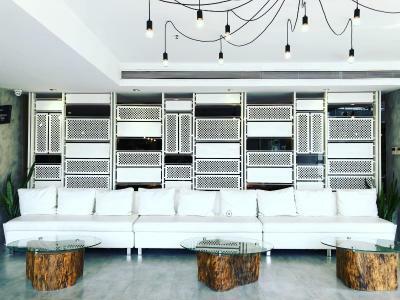 The 24-hour front desk provides a range of services which include car hire, currency exchange and luggage storage. 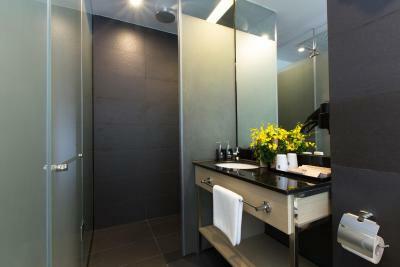 Guests can also request for airport transfers and laundry services at a surcharge. 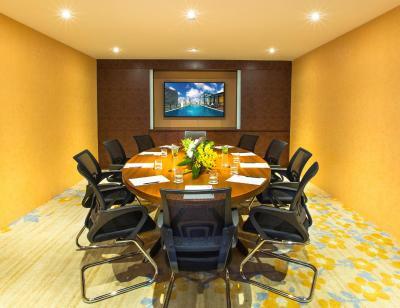 A business center and meeting/banquet facilities is available for guests who need it. 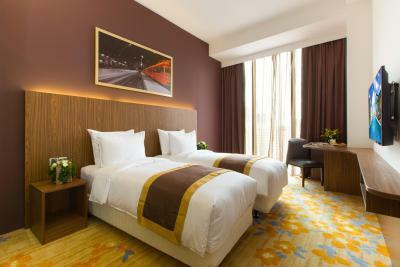 Parkson is 1,950 feet from Bay Hotel Ho Chi Minh. 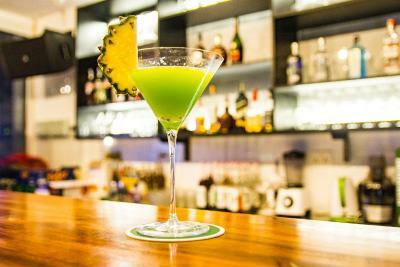 The nearest airport Tan Son Nhat International Airport is 4.3 mi from Bay Hotel Ho Chi Minh. 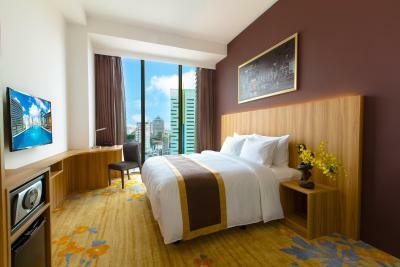 When would you like to stay at Bay Hotel Ho Chi Minh? 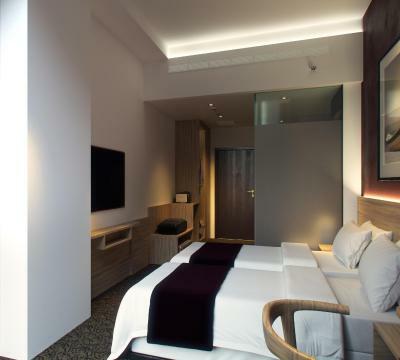 Cozy and modern, this air-conditioned room features flat-screen cable TV, seating area and luxurious Microfiber Gel Bedding. Bathroom has a rain shower. Complimentary mini-bars are replenished daily. Please note that an extra bed is available upon request at additional charges. 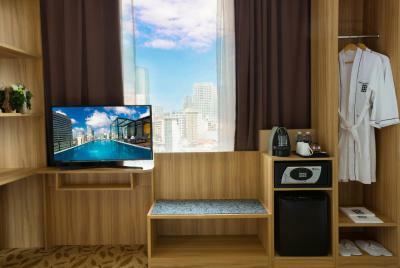 Featuring mahogany walls with clean lines, flat-screen cable TV, seating area and luxurious Microfiber Gel Bedding. 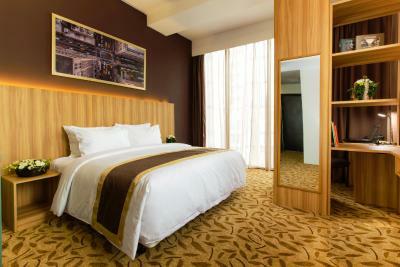 The room offers cozy bedding experience and wide open views of the bustling city. Complimentary mini-bars are replenished daily. 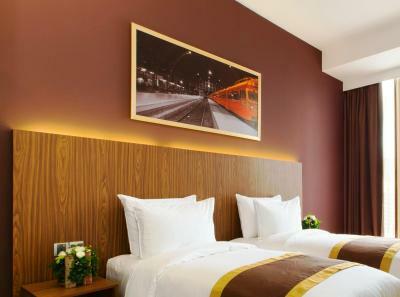 Featuring mahogany walls with clean lines, flat-screen cable TV, seating area and luxurious Microfiber Gel Bedding. 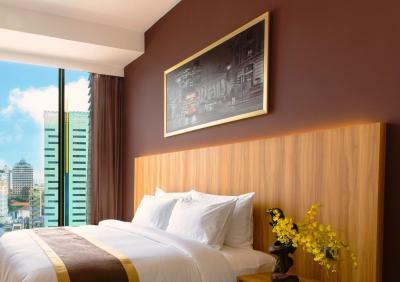 The room offers the cozy bedding and wide open views of the bustling city. Complimentary mini-bars are replenished daily. 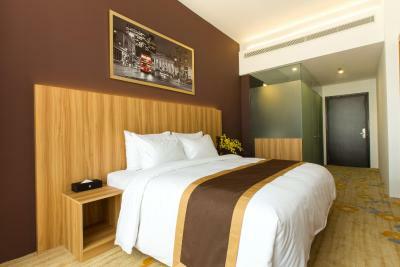 Features mahogany walls with clean lines, flat-screen cable TV, seating area and luxurious Microfiber Gel Bedding. 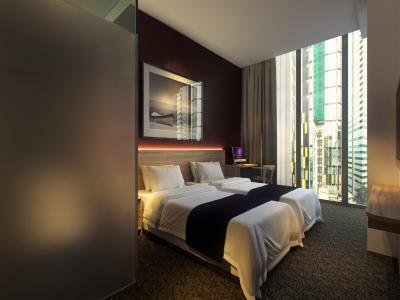 The room offers the cozy bedding and wide open views of the bustling city and River Landscape. Complimentary mini-bars are replenished daily. 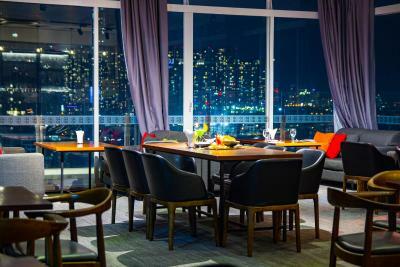 Fitted with high ceiling and hardwood floors, these elegant air-conditioned suites feature a panoramic city view and spa bath tub. Complimentary mini-bars are replenished daily. Features the understated comfort and zen-inspired calm with all the needed amenities, from an executive work desk to comfortable microfiber gel bedding. Complimentary mini-bars are replenished daily. Hotel surroundings – This neighborhood is a great choice for travelers interested in museums, shopping and markets – Check location Great location - show map Guests loved walking around the neighborhood! 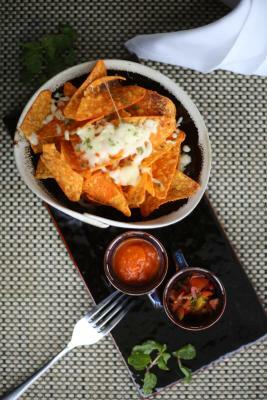 House Rules Bay Hotel Ho Chi Minh takes special requests – add in the next step! Bay Hotel Ho Chi Minh accepts these cards and reserves the right to temporarily hold an amount prior to arrival. Great staff. Clean. Good complimentary minibar. The superior room is without window and very small. But I got a free upgrade this time so no complains! 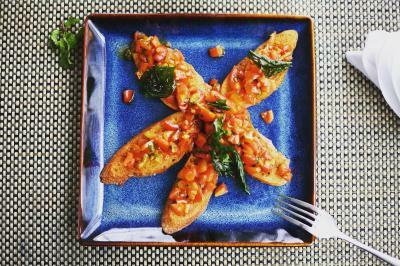 Very convenient location, good value for money and I really like the breakfast. Staff is also very kind and accommodating. We really enjoyed everything about this hotel. It was located in a quite location but still close enough to everything else. The staff were very friendly and helpful and I would return to this hotel. 1) The room 220 is a corner room giving on construction works on one side and on the small road on the other. 2) The Breakfast items were not my favourite. Loved the Location and comfort of the bed. The (sort of useless windows) for the room at level 3 which not allow you to open/close! My observation - not all front desk staffs is friendly! Very kind and nice personal. We have been supported in all our regards. The room was very clean, new and absolutely comfortable. There was no bellhop to help with the many luggage I had on arrival, to my room and upon departure. All were busy at the reception counter chatting away. My last trip a couple of months ago experience was better as the breakfast was of better quality. Since then this time around it's a total disappointment as food was not topped up and coffee was horrible and not much selection. I requested for a local red invoice upon booking and when I check out, I received a wrong company invoice thus help me up for an additional 15 to 20mins without an apology. Luckily I had planned my trip to the airport earlier otherwise I would have missed my flight. For the price that I am paying a room night, there are better hotels nearby. Clean, comfortable, good location, free mini bar. The hotel receptionists were very friendly and helpful. 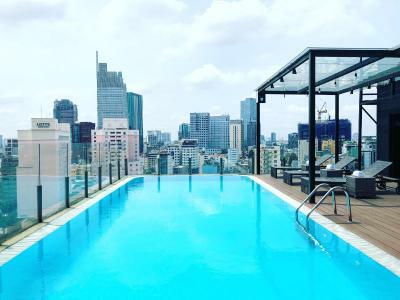 The pool is tiny with limited seating, the gym was woeful, the rooftop bar had zero atmosphere, out of all my hotels in Vietnam the staff were least helpful here they didn’t offer to help with luggage etc, if I was is Saigon again I’d pay extra and go for a better hotel. Bay hotel have a great staff and swimming pool was a clean with nice view. I thought the room would be bigger than it was. The glass by the pool could do with a clean so the views can be enjoyed more but I understand it is difficult. I thought the mini bar would have more than 2 beers in it. Otherwise, the shop down the road has cheaper beer than in the bar. Breakfast was nicely varied. It was made freshly. Food is good, facilities are good. The pool was lovely for a cool down in the evenings. Free mini bar was a nice inclusion. Location is good, within walking distance of a lot of nice areas.